Will SD-WAN be able to meet the connectivity demands of the future? Change is a constant. Trite as it sounds this is true – especially so in the technology industry. Over the last few decades the landscape has been shaped by a number of key trends, such as the large-scale move to cloud, which includes a lot more software-based services, applications and systems. This has had an impact on connectivity; driving the need for faster, better performing and more reliable connectivity. After all, what’s the point of having cloud-based services if takes too long to get the information you need or you can’t access them because you’re offline. Now a business-critical requirement, resilient connectivity can make or break an organisation, with unplanned downtime or poor quality having a detrimental impact on employee morale, customer trust and most importantly - the bottom line. To meet these needs, particularly for corporates, the answer has traditionally been MPLS. While initially promising benefits to business – such as simplicity and solidity – there are several disadvantages to using it. These include its high cost, the length of time it takes to install, and significant issues around integrating internet and cloud access. Enterprises, and those business who have reached for MPLS to enable their WAN, have also found that it’s only as good as the provider’s network, where that network is in the investment cycle, and how well it is managed. Far from being the reliable WAN offering of the past, businesses are increasingly experiencing MPLS downtime due to the aging, monolithic technology at its core, and the lack of imagination of its engineers. MPLS WANs are also inflexible and provide no level of control when it comes to packet prioritisation. This latter element is key for the modern businesses running VoIP phones alongside other connectivity-dependent and cloud-based services. As a result, businesses (especially those with multiple sites) are clamouring for more bandwidth, better value and improved reliability when it comes to their connectivity. If MPLS is no longer able to meet these needs, what is the next evolution of connectivity? Many businesses are looking at SD-WAN, the seemingly natural next step in an era of software-defined everything. This is a rapidly growing market sector, with Gartner predicting that spending on SD-WAN products will reach $1.24 billion in the next few years (2020), which is a massive leap from the $129 million spent in 2016. What makes SD-WAN able to meet the connectivity demands of today? This much newer technology is far more flexible than MPLS and is more cost-effective – something that is particularly attractive for the budget conscious decision maker. It is also more resilient, particularly when deployed across multi-path aggregated connectivity, ensuring that employees are always able to access the right systems at the right time. It is also ideal for connecting multiple sites together in an effective and efficient way as it’s scalable, enabling businesses to add sites and install additional lines quickly and cost effectively. SD-WAN delivers stable, low latency connections and is easily integrated with public cloud – a key factor for most businesses today. SD-WAN is currently more prominent in the US, where vendors have developed technology to deploy it based on that country’s network infrastructure – something that is vastly different to that of the UK. The UK has a different connectivity landscape, the result of both historical and geographic factors, and of a market “race to the bottom” on price which has driven down quality. But that isn’t to say that businesses in the UK must miss out on the benefits of SD-WAN, rather that it needs to be done differently. While convinced of its benefits, businesses are finding the adoption of SD-WAN a little challenging. For the most part this is because the majority of local vendors are using software developed in the US based on a broadband infrastructure that is of a much higher quality than that of the UK. 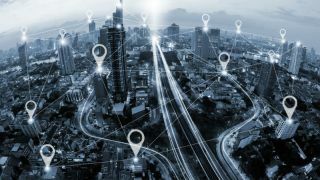 If the underlying connectivity is not fit for purpose, it is difficult for businesses to reap the expected benefits of SD-WAN. But another part of the challenge is the number of links in the chain needed to deploy it – in the case of SD-WAN (as is the case with many other technology solutions) it’s not a case of the more the merrier. Instead, the more vendors, the more potential there is for complications and complexity. The software itself still needs to be hosted in a datacentre and businesses need to source the actual connectivity from an ISP, or two, or three, all depending on resilience requirements. In addition, if monitoring and management of the WAN technology is needed (and it’s always recommended) that’s another vendor to add to the mix. Add in modem configuration and firmware management, and diagnosing and fixing circuit faults when they arise, and it quickly becomes cumbersome. And that’s before you’ve actually learned how to drive the SD-WAN software. The added complexity of working with multiple vendors, multiple SLAs and multiple support teams is something that IT managers need to keep in mind when investigating SD-WAN as a new or replacement solution to MPLS. To gain the maximum value from this software-defined approach, it is therefore necessary to minimise the number of vendors. If possible, businesses should work with one supplier, one with the local knowledge and expertise to help you gain that value. In addition, the question needs to be asked of the technology – is it taken straight from the US market (square peg, round hole), or has it been developed specifically with the UK market and its broadband infrastructure in mind? And by engineers and software developers immersed in that market and industry? The rate of change in the technology industry means that tech businesses need to keep up or run the risk of becoming irrelevant. The same is true when it comes to connectivity; business demand is growing rapidly and shaping the need for a better, more cost-effective and more functional solution that can deliver on those user demands. With squeezed budgets, legacy infrastructure and a lack of resilient connectivity, IT teams need to forge forward and find new solutions to help enable their businesses - particularly those enterprises with multiple sites. Finding this better performing, higher value option to link these sites together and successfully integrate with internet and cloud connections, is vital. As the successor to MPLS, SD-WAN is this solution; it is flexible, cost-effective and a stable way of enhancing connectivity options, and ensuring the availability of data, applications and systems across sites, enabling access for customers, staff and other stakeholders. But until more UK providers embrace their own software over resold offerings from abroad, investing in software development rather than cumbersome, already obsolete traditional network hardware, the market will favour those vendors that have already taken that leap to a fully software-defined world.